BRYAN EATON/Staff photo. 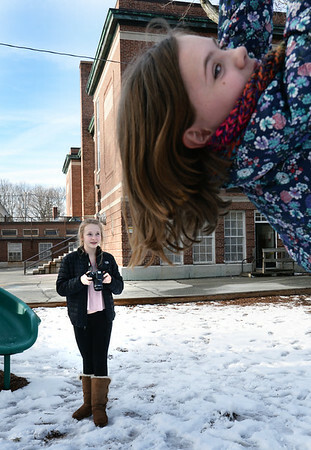 Kylie Dunphy, 14, scopes out some photos of friends in the playground at the Newburyport Rec Center on Wednesday. The Nock Middle School student is volunteering to take photos for the Department of Youth Services for an upcoming brochure.